A group said it had been planning 'rapid response' protests in case of a major development that could threaten the Robert Mueller Russia probe. Protests in at least 900 cities nationwide, aimed at protecting Special Counsel Robert Mueller's investigation into Russian interference in the 2016 presidential election, are planned for Thursday. The mobilization comes after President Donald Trump fired Attorney General Jeff Sessions Wednesday, replacing him with a man who has previously criticized the probe and offered suggestions on how to slow it down. 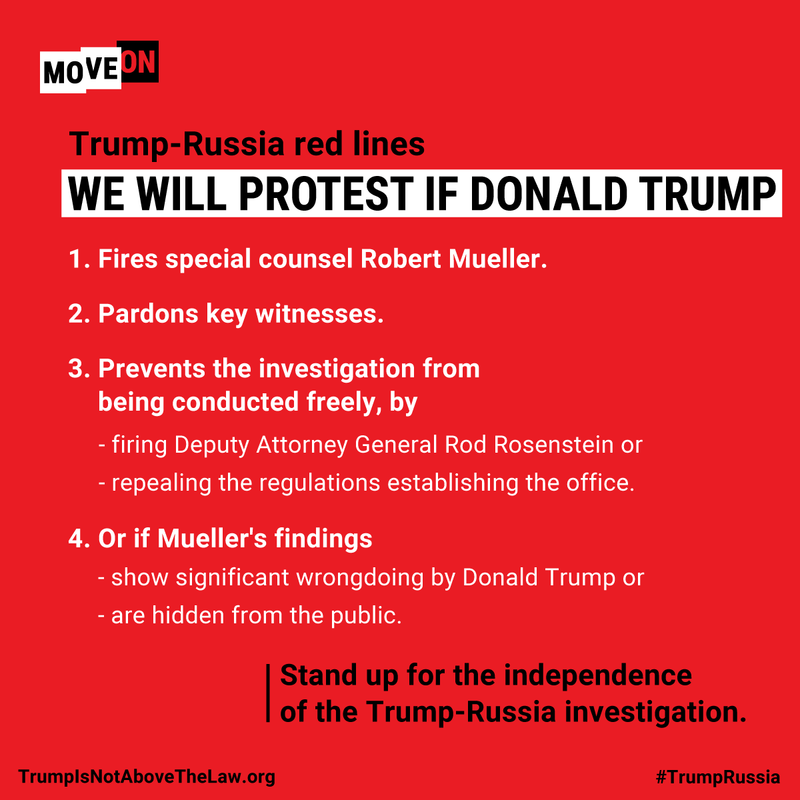 The group Nobody Is Above The Law said on its website that the protests are planned in cities across the U.S. at 5 p.m. local time Thursday, and added that Trump "crossed a red line." Sessions resigned Wednesday -- indicating he did so at Trump's request -- and the President appointed Matthew Whitaker, Sessions' chief of staff, as the Acting Attorney General. The move superseded the regular order of succession which would have placed Deputy Attorney General Rod Rosenstein the Acting AG role. Rosenstein has been overseeing the Mueller probe after Sessions recused himself from the investigation, but a Department of Justice spokeswoman said Whitaker would be "in charge of all matters under the purview" of the DOJ. Critics worry Whitaker may be unlikely or unwilling to defend the investigation, given his history of partisanship and loyalty to Trump. Nobody Is Above The Law said it wants Whitaker to recuse himself from supervising the investigation. "Trump putting himself above the law is a threat to our democracy, and we’ve got to get Congress to stop him," the group said on its website. 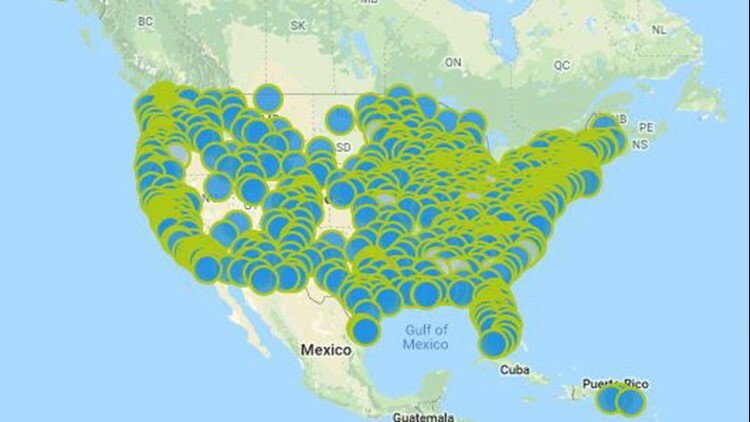 A Google map screenshot from the Nobody Is Above The Law website showing hundreds of planned protests for Nov. 8, 2018. The protests are meant to raise awareness to protect the investigation of Special Counsel Robert Mueller. 3. Preventing the investigation from being conducted freely by firing Rosenstein or repealing regulations establishing the office. 4. If Mueller's findings show significant wrongdoing by Trump or if the findings are hidden from the public. How many people will show up remains to be seen. The group also urged people to pressure Congress to protect the Mueller investigation. The change of leadership at the DOJ came one day after Democrats won control of the House of Representatives, meaning Trump will face more oversight than he has under the Republican-controlled Congress.